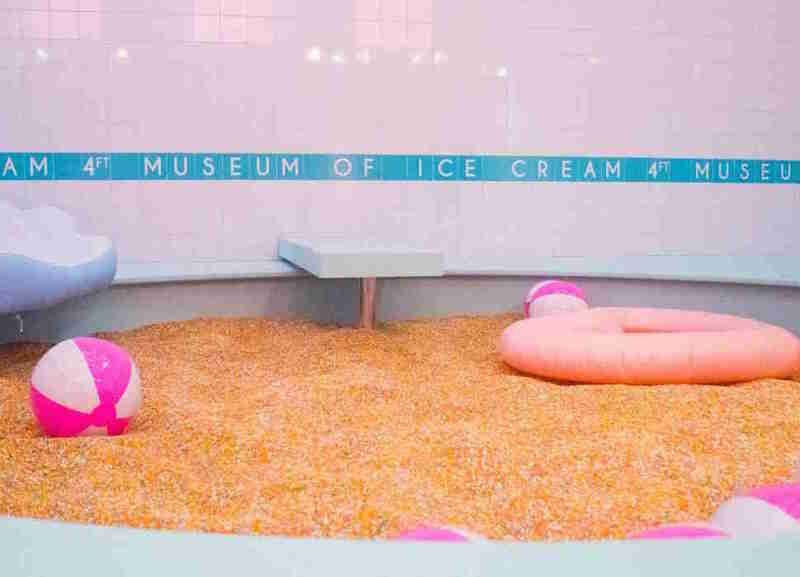 After making tidal waves on social media in New York and LA, the highly anticipated Museum of Ice Cream has finally opened in San Francisco -- and sold out its tickets almost immediately. The space is 14,000 square feet of whimsy and bright colors that’s supposed to make you feel like a kid again, says co-founder Maryellis Bunn. And it succeeds. 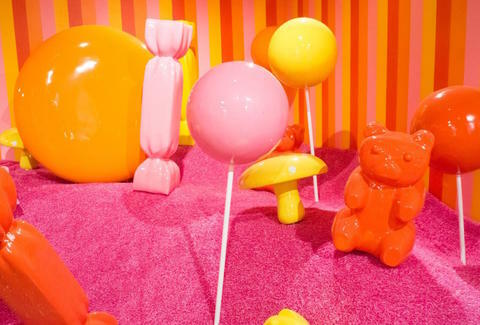 The entire museum creates a tangible experience that you’re able to feel and interact with, from a whipped-cream ring toss to a giant pool filled with colorful, plastic sprinkles that you can swim in. Each room is unique, and almost cartoonish in its appeal. 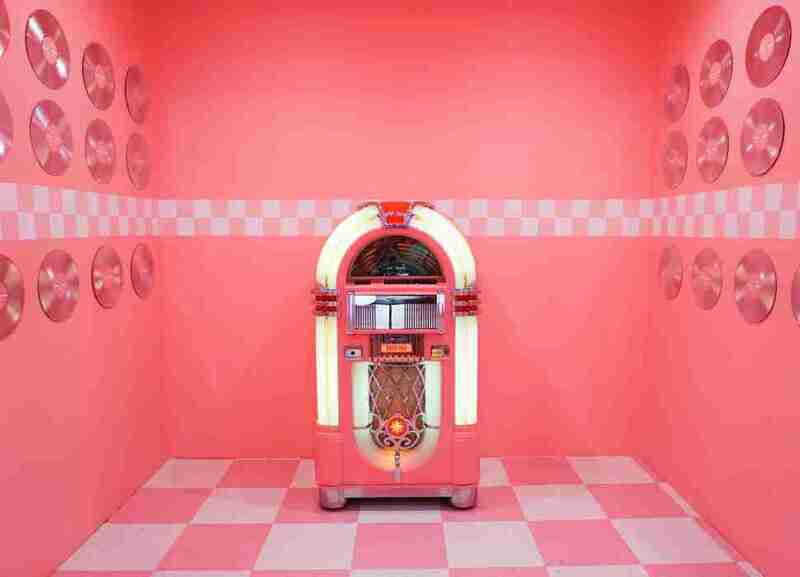 Everything is draped in shades of pink... from Mary's Diner, with its retro jukebox and strawberry sundaes from Bi-Rite to a climbable floor-to-ceiling wall of bubble gum steps and handles. Most of the art here is interactive and edible, and unlike most museums, snapping photos is strongly encouraged. But get there quick... the museum will only be around for about five months. What makes this iteration stand out from the others is its location. The museum at 1 Grant Avenue used to be a bank that was constructed in 1910, and in an effort to keep some of the history alive, the creators of the museum converted a safe that was discovered during construction into a themed vault, with splattered paint that looks like melted ice cream dripping from the cone. 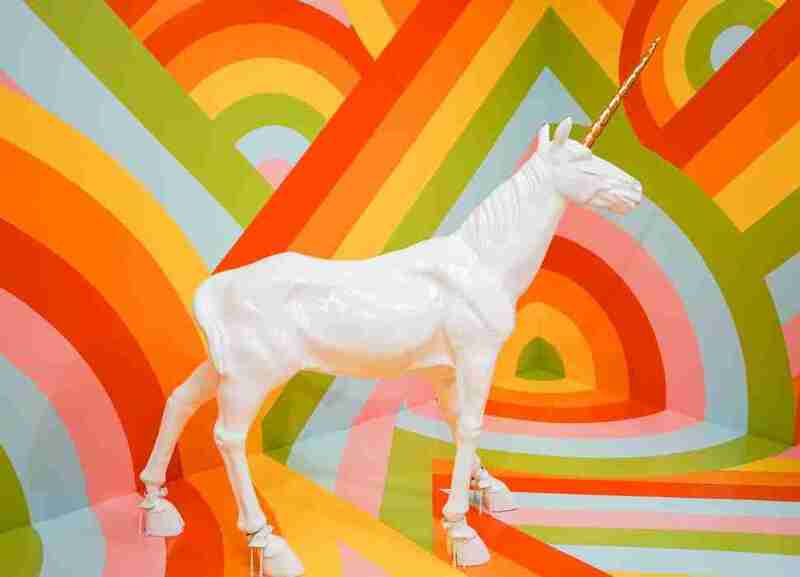 One of the best rooms is the Rainbow Room, where you'll find a unicorn proudly hanging in its secret "stable." It's here you'll be swirled "unicorn ice cream dipped in magic" (read: vanilla soft serve dipped in delicious strawberry sauce). After visiting the unicorn, you might want to make your way to the pool. Ally Mode is ostensibly the lifeguard here and will let you in by unclipping the pink velvet rope. You’re shown to an oversized pool floatie on the wall and a seemingly never-ending sprinkle fountain. Kick off your shoes and other precious belongings, and then you'll be told the pool rules: no diving, no running, and don’t eat the sprinkles (which are actually made of colorful plastic). Finally, you’re let loose. It'll be difficult to explain what it feels like swimming in a giant pool of sprinkles, so don't and take an Instagram instead. 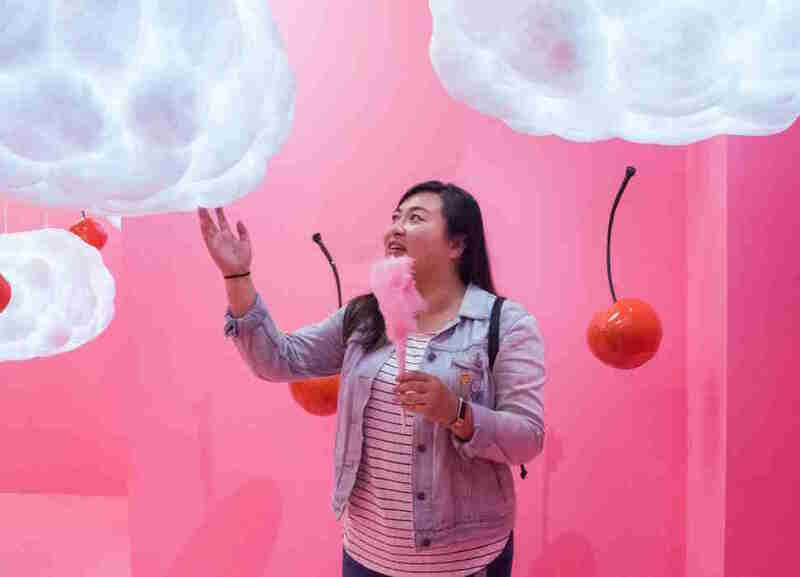 In all seriousness, if you go to the Museum of Ice Cream and don't upload a pic of you sprawled in a sea of sprinkles, did you really even go? Once you get out you’re given your belongings and told to hit the showers -- an air hose that looks like a water pump that frees you of any clinging jimmies left from your sprinkle dip. Then, at the end of the tour, saddle up to a banana swing while you lick some piñata ice cream from a cake cone and be amazed that such a thing as an ice cream museum exists, and you got to go there. Urmila Ramakrishnan is an SF-based food and drink writer who never passes up the opportunity for a Gouda food pun. Follow her on Instagram @mila_makes.